Ross once again spread the production love around on his latest full-length offering. Whether or not you&apos;re a fan of Rick Ross as a rapper, there&apos;s been no denying that the man has a fantastic ear for production. 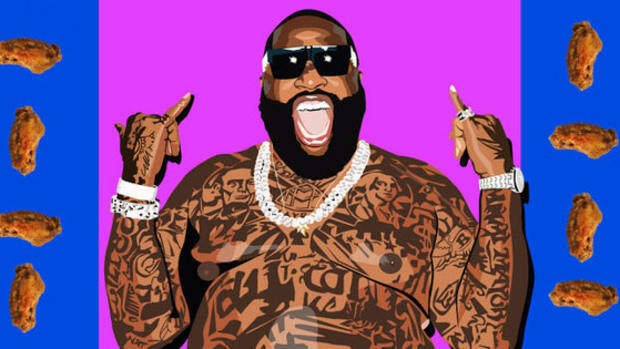 Over the span of his past eight albums, Ross&apos; production has often helped to define the sounds of that given year in hip-hop, utilizing both the biggest, most accomplished names in the production world and lesser-known talents with massive potential. Unlike his preference for chicken wing flavors, Ross&apos; production choices are heavily varied, drawing from nearly every region of the country to add range and flare to his sometimes formulaic deliveries. 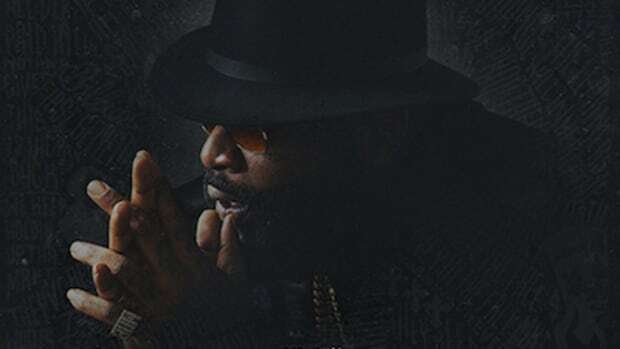 With Ross&apos; ninth full-length Rather You Than Me due out on Friday (March 17), now is the perfect time to get you acquainted with the bevy of producers Rozay employed on his upcoming release. Having mostly worked in the underground until recently, New Jersey producer Analogic is a name that might not ring a bell, but his growing discography boasts production credits with Booth favorites like Evidence, Jarren Benton, Masta Ace and Skyzoo. His last Booth featured-record, "Natural High" with MadKem, came in July of 2014, but almost three years later, it still stands up as an Editors Pick. Also known as Maybach Music Group’s “super producer,” Beat Billionaire has worked extensively with almost everyone on MMG, including Fat Trel, Gunplay, Meek Mill, Tracy T and Wale. 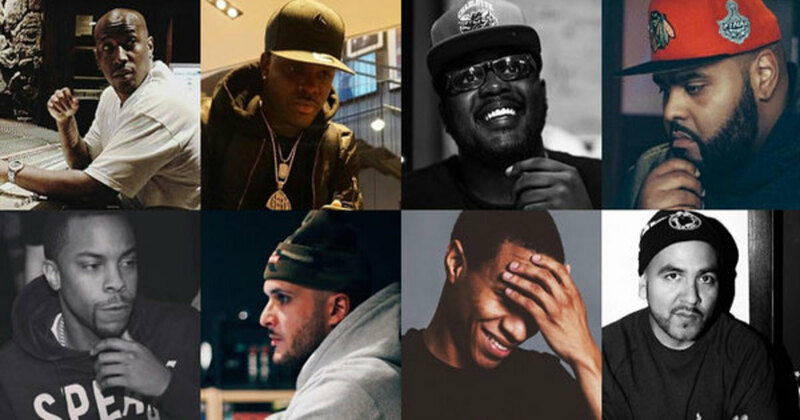 Beat Billionaire was actually signed to MMG after being introduced to T.I. and Grand Hustle by Parrish Smith of EPMD. After hearing his production on Young Dro&apos;s “Freeze Me,” Ross—who guested on the song&apos;s remix—quickly snatched up the young talent. UK producer Beat Butcha is part of the S.O.I. (Spread Of Infection) crew alongside Doe Pesci, Jay Bombaye and Tha Jerm. Butcha has worked extensively with Curren$y, and also has multiple production credits with the late, great Sean Price. Butcha is also known to frequently collaborate with former Taylor Gang member and current Fool’s Gold signee Cardo, and in a 2014 interview with Complex UK, he described his sound as, "a dash of grimey, a pinch of psychedelic, balsamified soul, horror, old meets new hip-hop." Whether or not you’re immediately familiar with the name Bink (or sometimes Bink!, or Bink Dawg), the producer&apos;s hands are all over some of your favorite hip-hop albums, most notably Jay Z’s The Blueprint and The Dynasty: Roc La Familia and Kanye’s My Beautiful Dark Twisted Fantasy. 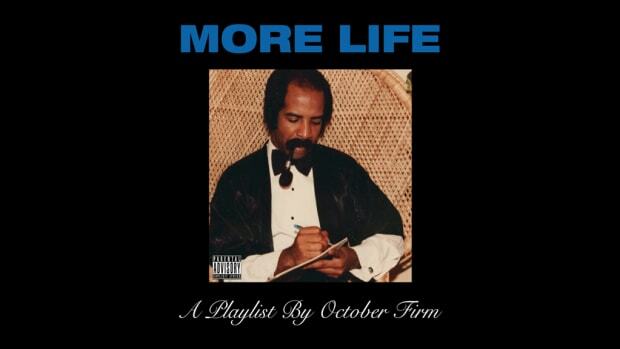 In addition to standout singles for Curren$y, Dr. Dre, Drake, Freeway, Jadakiss, Pusha T and more, the GRAMMY award-winning Virginia native has produced for Ross in the past ("We Shinin&apos;," "Cigar Music (I Do It)," "Mafia Music III"), which makes his three credits on Rather You Than Me the fourth time Rozay has brought in Bink’s expertise for a full-length project. Hailing from Atlanta, Black Metaphor is another frequent Ross collaborator, having produced for Mastermind ("Rich Is Gangsta"), Black Dollar ("We Gon Make It") and Black Market ("Black Opium"). Black Metaphor was also behind The Game’s standout cut “Ali Bomaye” from his 2012 Jesus Piece album, which featured both Ross and 2 Chainz, and has handled production for both Jay Rock ("Necessary") and Isaiah Rashad ("R.I.P. Kevin Miller") of TDE fame. 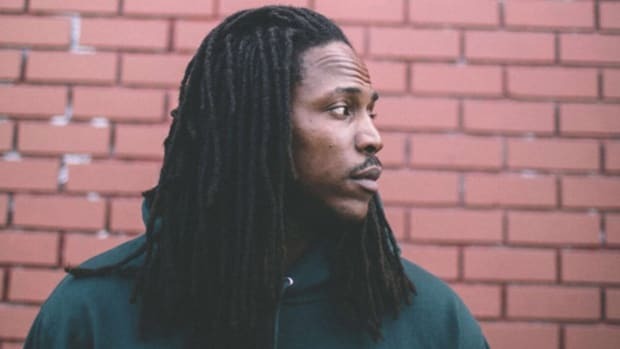 Bronx native Buda Da Future has been hands-on with the East Coast hip-hop scene for several years at almost every level, from the underground to the mainstream. One-half of the Buda & Grandz production duo with Grandz Muzik, the two have produced for newcomers like Dave East and DeJ Loaf as well as storied veterans like Talib Kweli, The L.O.X. and Juelz Santana. Also known as Lil C, Gutta got his start through a deal with Grand Hustle after producing Young Dro’s “Shoulder Lean” in 2006. 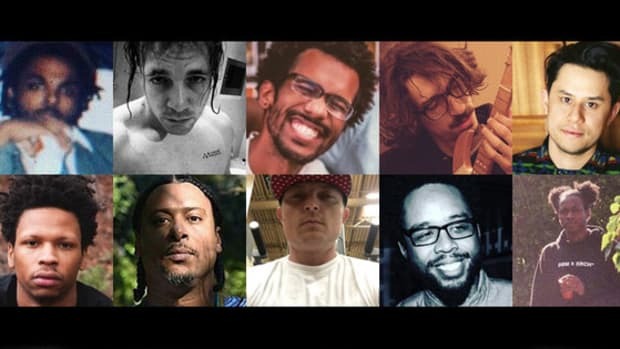 Since then, Gutta has worked with Young Jeezy, Travis Scott, B.o.B and countless others, and is part of T.I.’s production and songwriting team Smash Factory alongside 1500 or Nothin’ producer Mars. Before getting production placements on Rick Ross’ latest album, Chad Nine was Chad Thomas, a defensive lineman for the University of Miami Hurricanes from 2014 to 2016. While I can’t find any other high-profile production credits on his resume, Chad’s SoundCloud is a sprawling representation of Miami’s local hip-hop scene, and it turns out the “Apple of My Eye” producer is also a pretty talented aspiring rapper as well. Hailing from Queens, NY, Grandz Muzik is part of a production duo with “Maybach Music V” co-producer Buda Da Future, and alongside his partner has worked with Dave East, Meek Mill, Ross and several other notable names. The two also run a blog together in which they discuss the industry, give production tips and break down their own work. Born and raised in Fayetteville, North Carolina, J Pilot is a childhood friend of J. Cole and has been composing music since he was very young. A multi-instrumentalist as well, Pilot has worked with T.I., Wale, Rah Digga and more, and cites diverse influences such as Curtis Mayfield, Quincy Jones, Black Sabbath and Megadeath. Originating from Detroit, The Olympicks are a songwriting and production group consisting of members J-Fab, Flawless and Knoxville (B.P. is no longer a part of the collective). Having produced for Big Sean early on in his career, The Olympicks went on to develop a working relationship with Ross’ MMG imprint, and are currently signed to a deal with Young Money Entertainment and Cash Money Records. Sap, whose name stands for Sound of A Pioneer, got his break in 2008 after producing “In My Bag” for Meek Mill, which led to the Delaware native working with Juelz Santana, Jadakiss, and eventually, Mac Miller for his regrettably-titled hit single “Donald Trump.” After his success with Mac, he began working closely with legendary production duo Cool & Dre, and has since produced for Freddie Gibbs, The Game, Juicy J, Meek Mill and Wiz Khalifa, among others. Currently signed to Kobalt Publishing, STREETRUNNER has had a part in over 45 major hip-hop albums over the past decade. After getting his start producing “Take Me Home” by Terror Squad, STREETRUNNER went on to work extensively with Fat Joe and eventually Lil Wayne, with whom he earned a GRAMMY award for Tha Carter III. SR is no stranger to Rozay album cuts, having produced Mastermind&apos;s "Blessing In Disguise" and Black Market&apos;s "Free Enterprise." Azzouz is a French producer signed to STREETRUNNER’s Run The Streets imprint. The two met years back through online music submission site Blazetrak and began working together after Tarik graduated from college. He has since gone on to produce for Lil Wayne, John Legend and recently on Meek Mill’s DC4 project, on which he co-produced two tracks ("Blessed Up," "Shine") alongside STREETRUNNER. Nine albums in and Rick Ross hasn’t lost it yet. 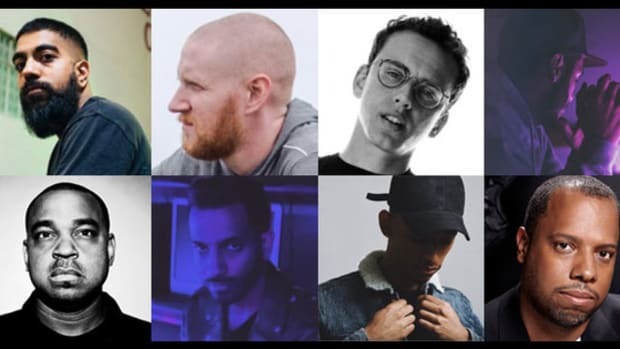 Get to know everyone behind the boards on Logic's latest full-length. 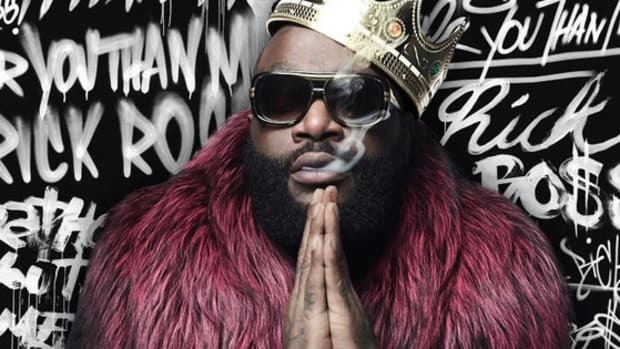 After one listen, "Black Market" proves that Rick Ross is still growing, maturing, and improving as an artist. Rozay is a master of product placement in his rhymes.